Too Much Heaven is the third installment in the series about young DeLaine Reynolds. DeLaine is continuing in her quest to overcome the horrific events of April 10, 1979 in Wichita Falls, TX. Her family has finally moved into their new home that was rebuilt after the tornado devastated their entire existence by annihilating their home! What will be in store for DeLaine in the last half of the school year as she finishes 7th grade inside of the local high school. Will she finally have the chance to be with Kevin or will Geoff’s jealousy continue to ruin her chances at finding true love? Will her step-mother continue to be somewhat civil or is it all just a ruse to placate DeLaine’s dad? Read this latest installment to find out! 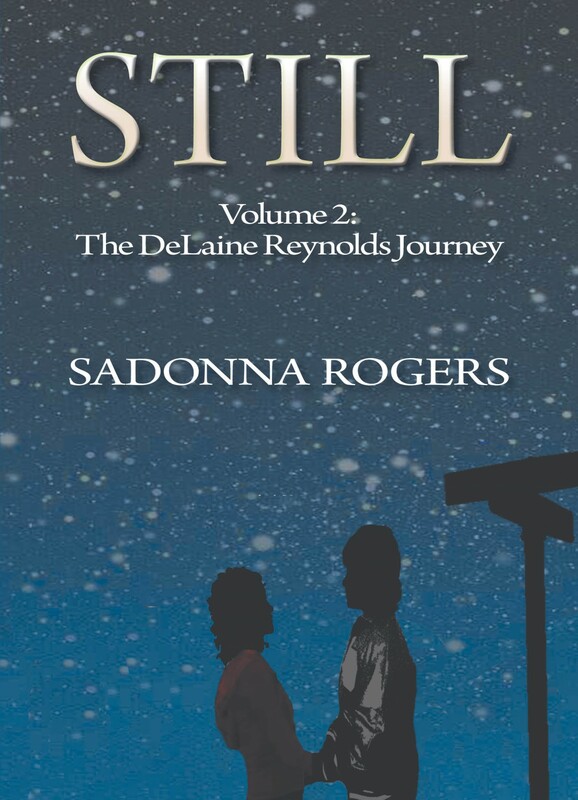 The Next Volume In DeLaine’s journey is now available! DeLaine is in 7th grade at Samson High. She is 12 and on the verge of turning 13; a milestone. Learning about the changes she’s feeling in her body and mind, DeLaine realizes that physical feelings don’t always mean true love, as she thought when she was younger. Nevertheless, she develops feelings for Kevin Strong, her psychopathic stepbrother’s best friend and “King” of 8th grade. If he wasn’t untouchable for one reason- Geoffrey’s jealousy- then he is untouchable for his difference in age and status. Kevin doesn’t share her thoughts about their relationship being taboo. DeLaine is obliged to push Kevin away to minimize the abuse she will endure if her stepbrother ever knows her true feelings for his best friend. She has a budding friendship with one of the popular girls, Bailey Rains, and is surprised when Bailey shows nothing but warmth and kindness to a “complete zero” like her. DeLaine’s self-esteem gradually begins to develop as she spends more time with Bailey. Just when her life seems to be on an even keel, her stepmother comes home from the mental hospital. DeLaine’s new defiance allows her a different way to deal with the abuse she constantly receives from her step-monsters as she navigates adolescence. Based on the harrowing true events of 1979, 12 year-old DeLaine Reynolds is launched into adolescence by a horrific tornado that rips through her hometown. Already struggling with the increasing pressure from her abusive step-mother and step-brother, the little “rattle-trap trailer” she calls home begins to feel smaller and smaller after the storm passes. The advent of the 7th grade and high school only worsens her feelings of abandonment as she faces social hierarchy, bullying and the hint of first love. 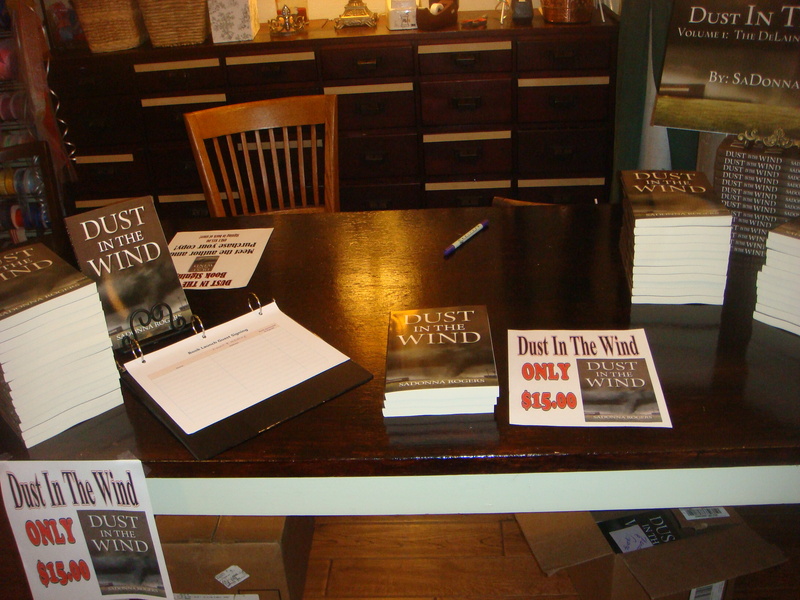 Dust In The Wind is a vivid portrayal of the angst of growing up. As DeLaine navigates the treacherous waters of adolescence she finds islands of solace in Kevin, his warm family life, and standing up for herself. Both inspirational and entirely realistic, the author paints their attitudes and youth culture in a compassionate light – DeLaine and the supporting cast are characters easily empathized with. The first book in the continuing series following DeLaine, this is a must read for both young people and adults alike. SaDonna traveled the US with her parents who had a band until she started first grade in Wichita Falls, TX. She wanted to become a writer at an early age and showed talent in this field throughout her school years. 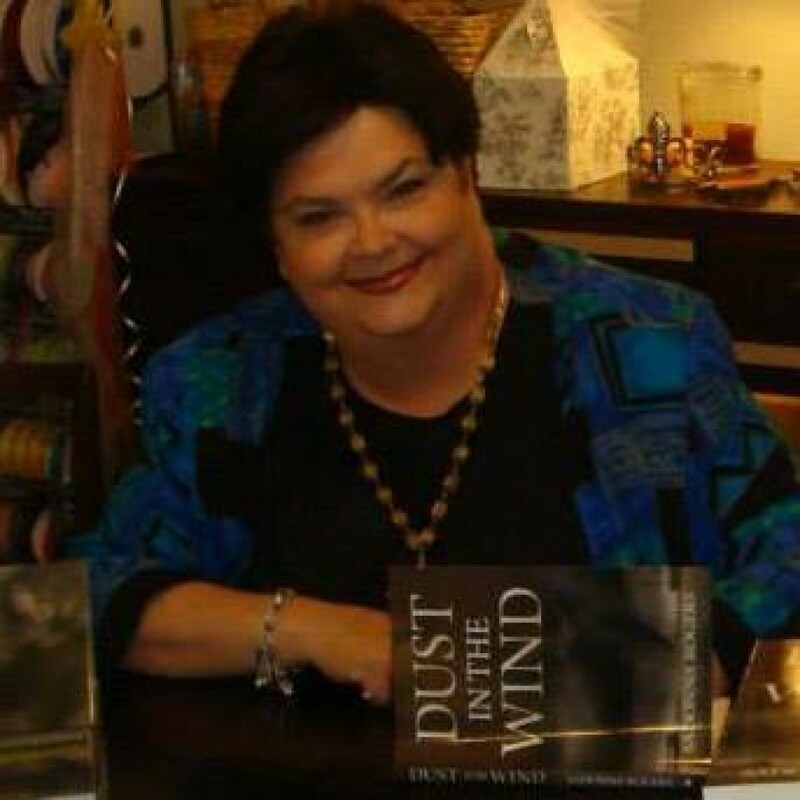 She wrote stories for her school newspapers from junior high through high school. 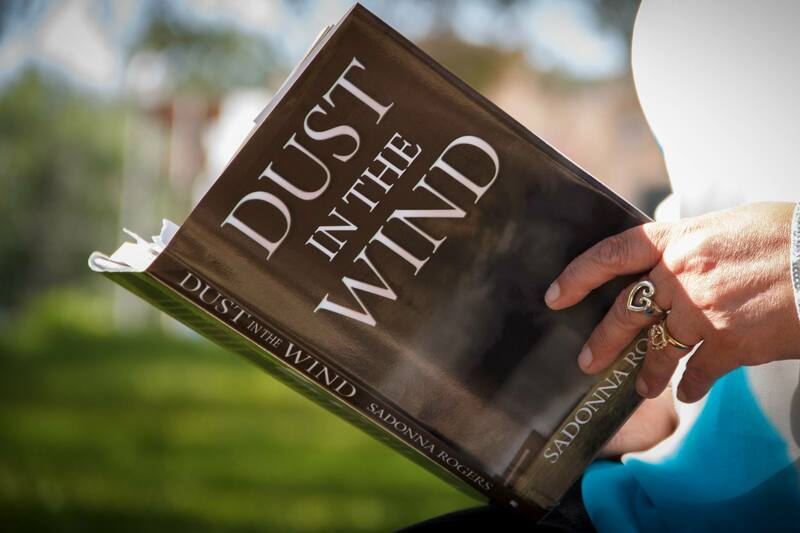 Married shortly after graduating from high school in 1985, SaDonna put her dreams of a writing career to rest until 2012 when she decided to write the story her best friend suggested when she was 14 in 1980. SaDonna wanted to write a story to inspire people of all ages to find their voice. Divorced since 1991, she lives in Goliad, TX. Her son is in the US Army; she has two grandchildren . An advocate of pet rescue, SaDonna owns several dogs and cats, all of whom found their way to her home in the country. Awwww, thank you Daddy! You are my biggest fan and that makes me so happy!!! !